Insurance doesn’t dictate whether you have a mental health problem. My work at a safety net hospital in Chicago has shown me the various paths patients with mental illness face. The path insurance can provide is both healthier and cheaper. Mental health patients cost taxpayers far less with regular outpatient treatment rather than being hospitalized for days at a time several times a year. When I first met a patient I’ll call Martha, a transgender Latina woman in her 30s, she was trying to disappear. The hood of her sweatshirt was cinched around her face; her eyes were invisible behind her Jackie O sunglasses. Before she got to me, Martha had been receiving care at one of the six city mental health clinics that service Chicago’s 77 neighborhoods. (Rahm Emanuel had closed six similar clinics in 2012.) After three years there, she was told that her psychiatrist was gone and would not be replaced. But thanks to Illinois’ Medicaid expansion, she now had other options, which is what led her to my workplace, an outpatient behavioral health clinic attached to a Level 1 trauma center and safety net hospital on Chicago’s West Side. Martha heard voices, and they were cruel. They told her to kill herself; that she was still a man, not a woman; that she would never find love and acceptance. She had experienced trauma beginning in her childhood and continuing ceaselessly, which seemed proof to her that the voices were right. In the first three months we worked together, Martha was hospitalized four times. I learned that if she did not show up for her appointment I should check the roster of our inpatient facility across the street. Gradually, though, things began to change. The sunglasses came down more often, her internal guard even more so. I learned of the pains of growing up an effeminate boy in a culture that prized masculinity, of knowing that something is different without having the words to name it, of being kicked out of her house. We talked about the good, too. Late-night drag shows, brunches in Boystown, “passing” in the grocery store. At one point, she went almost a year without being hospitalized. When she did go back following a breakup, it felt different. Instead of stability being an idealized goal, it was something she had experienced and a place to which she could return. She had regained a sense of imagination, an ability to imagine a life lived on her own terms that was not dictated by her illness. I see many patients like Martha. These are people whose lives seemed like chronicles of unending pain until they were able to gain insurance, many for the first time, through the Affordable Care Act and receive mental health care that helped them enormously. A woman who lives with her drug-addled sister who spits curses at her daily found an outlet for her rage by unloading it weekly in my office. A father who lost his son on the boy’s 21st birthday to Chicago’s random violence can work toward finding a new normal. A mother who killed her 5-year-old son while lost in a psychotic episode can explore her grief. If these people don’t have health insurance, their problems won’t go away. They will just be forced to find their care elsewhere, in ways that are both more harmful to them and to us. Institutionalization is expensive. Cook County Jail is already the largest provider of mental health services in the city of Chicago, and that will only increase if people lose their insurance coverage. Martha, and my many other patients like her, costs taxpayers far less by engaging in regular outpatient treatment rather than being hospitalized for days at a time several times a year. The human cost is far greater. Not only is Martha’s treatment less costly, she is flourishing in a way that she could not have imagined two years ago when I first met her. But she is scared of what will happen to her if she is no longer able to continue her mental health treatment, and so am I. We therapists are trained to recognize vicarious trauma—the ways in which our own worldviews can be affected by the level of human misery we encounter on a daily basis. Working with patients like mine is challenging and has real potential to bring us down, to force us into replicating the viewpoint that the poor are somehow a drain on us, whether it’s our resources or our capacity for compassion. But I don’t think that my experiences with my patients have shown me that they are a drain on our systems. My work with my patients has shown me that with proper care and support, people can make remarkable progress. 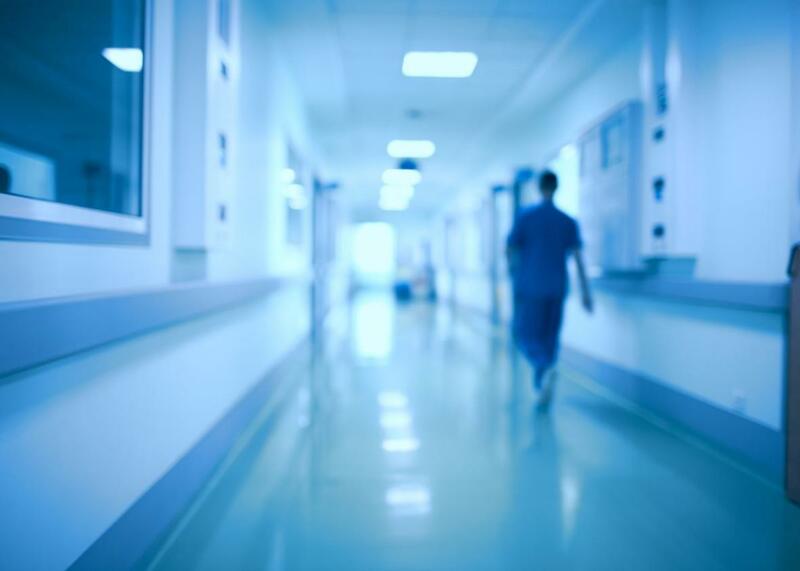 When I encounter my patients, I feel many things, but I do not feel pity; rather, I am most often amazed at the ability they have found to cope with horrific circumstances and to remain standing. Clinicians who work with survivors of profound trauma call this vicarious resilience. It animates my work. My patients watch the news. They know there’s a chance they might lose their insurance. If they bring up the issue, I try to assuage their fears. But I don’t know. I hope that the progress that Martha and so many others like her have achieved will not be washed away in favor of tax cuts that take scissors to our already-depleted safety net. Because regardless of whether Martha has insurance, she will still need care. The question facing Congress is whether we will provide her with hope or condemn her to uncertainty.